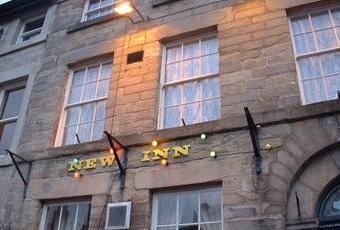 A handsome, beautifully decorated pub that attracts a good contingent of locals. Beers are from Robinsons although our favourite, the Dizzy Blonde was not amongst them on the occasion of our visit. Nice, friendly beer pub. Nothing fancy, just four or five good Robinson's beers (plus the usual array of fizzy pop) I had the Wizard (the barman said it was the closest to the old Robbies Best I remember from when I used to live up there last century) and a Trooper. They were both very drinkable and Milady rates the Dizzy Blonde (a Golden) highly. Unless you count a surprisingly wide selection of pork pies, there's no food, but don't worry about that/. Have a beer. It won't have a smoky atmosphere any more! I've always found this a good, traditional pub with a strong local following. Always find it a very smoky atmosphere. On Market Place, handily placed for centre.